Take My Hand Uganda - First Two Days in Uganda! ​Our first day in Uganda was spent at the Watoto Church in Kampala attending various meeting with departments operating within the their Villages. Watoto was founded by Gary and Marylin Skinner from the U.S. who wanted to establish a westernized Christian church in Kampala. From there they recognized the bottomless need for caring for vulnerable children in Uganda as well as widowed and single mothers who were struggling to care for their own children. 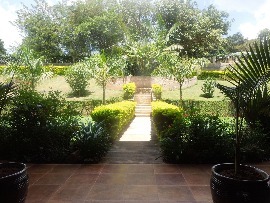 A Watoto Village was started with ONE home that held one mother and eight children. Some of them were her biological children and others were orphans. 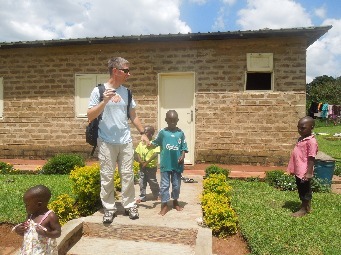 The goal was to create a family to care for kids instead of institutionalizing them in an orphanage. And to reach out to the widows to allow them to keep their children instead of having to abandon them or give them up. I don't have the numbers in front of me, but the village concept has grown from one home to hundreds. And from one village to several more including several babies homes. I believe they are caring for more than 3,000 children and widows at this time. So on Friday we met with different department leaders who shared with us on topics such as medical care, procurement and sustainable projects within the villages. These meetings were very candid and the staff were very forth coming on how and what they do as well as where they want to be. For example they now have sustainability projects that produce more food than their villages can consume per day and are therefore able to sell some back to the local markets. They also pre-negotiate their estimated food purchases and set contract prices. Around each of their villages they employ local workers and provide water to the community. Eventually they will probably have a better medical system than all but the top hospitals in the country. 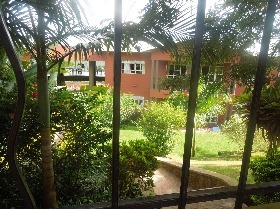 They already have the best clinics in the village areas and have doctors on staff. ​On Saturday, 11-1, we traveled about an hour to the Subbi Village. This is only one of their villages in Uganda and we spent the day seeing and hearing how a Watoto village operates from top to bottom. We were all amazed at how incredibly organized and well thought out everything was and how every question we thought of was answered with something they already had in place and going strong. Every person in that village, from the children to the mothers and all the way up to the heads of departments, were accountable in several ways to several people. Their self-sustaining projects were amazing. Chickens producing 3,000 eggs a day, pigs, agriculture, millet, and more. The village was made up of smaller villages of eight, simple homes holding one mother and eight children. The mothers are allowed to bring in two of their biological children as part of the eight. And these women were carefully chosen according to the greatest need and through an application process. 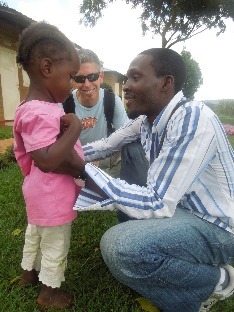 The children brought into Watoto are also carefully selected according to the greatest need. 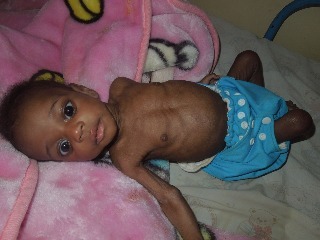 Everything possible is done to ensure the child has no living relatives that are able to care for them. 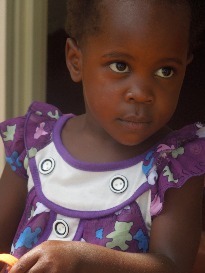 They do a lot of investigation before a child meets the requirements to be placed at Watoto. ​ Our team was divided up into two groups and we had the priviledge of being guests at a home where a traditional lunch was prepared and served by the mother. Our plates were heaped with rice, stewed meat, potatoes, chapati (a flat bread) and a few servings of foods we did not recognize. Our table was occupied by teens and adults while the younger children sat on a mat on the floor. They graduate to sitting at the table as they get older. There was very little talking and a whole lot of eating going on. They told me that Ugandans EAT first and THEN talk. It was a lovely meal and clearly took a lot of work to prepare. Sitting with and being part of the family was such a unique experience. The gift giving followed the meal and we were able to bless the children and mother of the family with an indestructable soccer ball, self care items, small toys, vaseline, school supplies and the much anticipated SWEETS! We call it candy and it brought forth some squeals of delight lots of wide smiles. Before I close this out I want to show you the transformation that took place in a child we knew and loved from Uganda last year. He was rescued and placed at Watoto and they surrounded this child with one on-one-attention, medical care, regular, nutritious feeding and a whole lot of love. 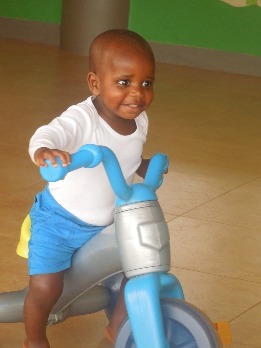 When I saw him at Watoto I recognized those unforgettable eyes. I just stood there watching him play and laugh and run, knowing how close he came to death and the miracle that his life represents now. The two days we spent at Watoto were full of listening, learning, intense emotion and we left with a large portion of confidence and peace, knowing that these children are in very good hands. God has been using this ministry for years to rescue, raise and rebuild children and families in Uganda and our team was privileged and blessed to experience all He is doing there.